There are several reasons why we should be interested in the numbers reflecting the amount of cholesterol circulating in our bloodstream. However, to be able to interpret these numbers we have to know certain things about cholesterol as a chemical substance and its role health and disease. Interestingly, although cholesterol is an essential substance for the human body, in some people, it appears that high blood levels may be associated with increased risk of cardiovascular disease. This is particularly true for cholesterol that is carried in the bloodstream by a protein called low-density lipoprotein or LDL. This cholesterol is called LDL-cholesterol or LDL-C.
Because high blood levels of LDL-C have been associated with increased risk of heart disease, measurements of LDL-C are often used to evaluate the risk of future cardiovascular disease. Hence, we traditionally define high LDL-C as a risk factor, similar to, smoking, high blood pressure, and diabetes. The first thing we should understand is that cholesterol is a fatty substance. Such substances are often called lipids. Lipids are insoluble in water and can therefore not be transported in blood on its own. 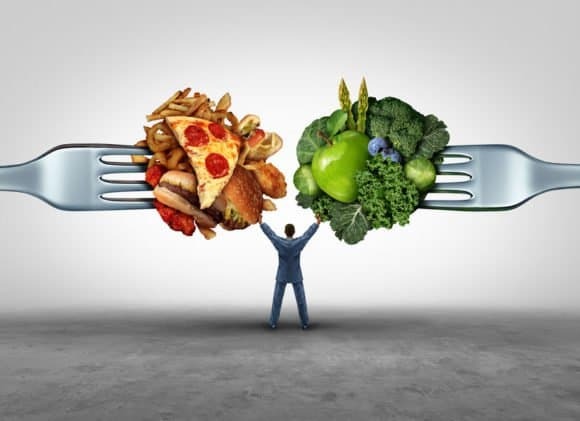 The body’s solution to this is to bind cholesterol to certain proteins that function as transport vehicles carrying different types of fats such as cholesterol, triglycerides (TG) and phospholipids. These combinations of fats and protein are termed lipoproteins. LDL is one of the body’s lipoproteins and an important carrier of cholesterol. Many studies have shown a strong correlation between LDL-C and the risk of CVD, both in women and men. However, this association appears to become less prominent with increasing age. Furthermore, some studies have suggested that low LDL-C may be associated with increased mortality in older adults. A lot of available evidence suggests that lowering blood levels of LDL-C reduces the risk of CVD. According to the European Society of Cardiology, the results of epidemiological and clinical trials confirm that the reduction of LDL-C must be of prime concern in the prevention of CVD. However, before moving further, it is important to comprehend that not all people with high levels of LDL-C develop heart disease, Furthermore, many patients who develop cardiovascular disease do not have high LDL-cholesterol. Cholesterol is an organic molecule included in the sterol family. 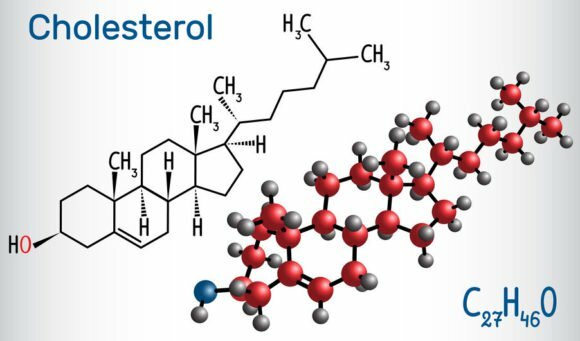 Cholesterol is the best-known sterol, mainly because of its proposed role in atherosclerosis and cardiovascular disease. Cholesterol is a sterol (a combination steroid and alcohol) and a lipid found in the cell membranes of all body tissues and transported in the blood. The name originates from the Greek chole- (bile) and stereos (solid), and the chemical suffix -ol for an alcohol. Sterols are chemical substances, classified as lipids or fats, although they are chemically different from other types of dietary fat, such as triglycerides and phospholipids. Unlike triglycerides, sterols contain no fatty acids. Cholesterol is a major structural component of cell membranes and is especially abundant in nerve and brain tissue. It is also a precursor of important hormones and vitamins produced in the body. Vitamin D is synthesized from cholesterol and so are important hormones such as progesterones, glucocorticoids (cortisol), mineralocorticoids (aldosterone), androgens (testosterone) and estrogens. Cholesterol occurs only in foods of animal origin. It is important to understand that the body can synthesize cholesterol. Therefore, it is not needed in the diet. If our nutritional status is otherwise sufficient, we can live on a cholesterol-free diet because the body will produce the cholesterol needed. Most of our cholesterol is synthesized by the liver. Interestingly, if we increase our intake of dietary cholesterol, blood levels will not necessarily increase. Studies have shown that increasing dietary cholesterol may reduce choleterol syntheis by the liver, although probably not always by an equivalent amount. Lipoproteins are not molecules, but rather particles comprised of several thousand molecules. The main role of lipoprotein particles is to transport fats such as triglycerides and cholesterol in the blood between the organs of the body. 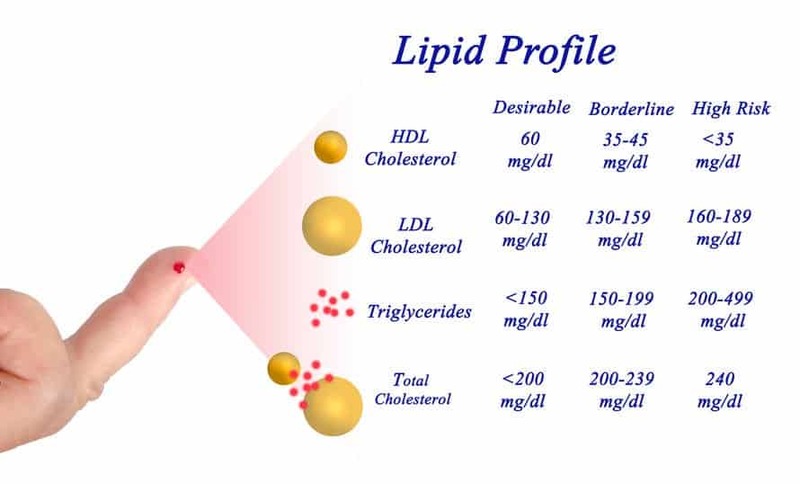 There are five major types of lipoproteins; chylomicrons, very low-density lipoprotein (VLDL), intermediate-density lipoprotein (IDL), low-density lipoprotein (LDL) and high-density lipoprotein (HDL). The function of LDL is to deliver cholesterol to cells, where it is used in membranes, or for the synthesis of steroid hormones. Excess cholesterol from cells is brought back to the liver by HDL in a process known as reverse cholesterol transport. LDL-C is often called the “bad” cholesterol whereas HDL-cholesterol (HDL-C) is often termed the “good” cholesterol. The reason for this is that high levels of LDL-C are associated with increased risk of heart disease while high HDL-C is associated with less risk, Of course it is the same cholesterol. The difference is the lipoproteins. What Does High LDL-Cholesterol Mean? Elevated levels of LDL-C in the blood are associated with increased risk of atherosclerosis and heart disease. There are specialized receptors on cell surfaces that bind LDL-C. These are called LDL-receptors. A lack of LDL-receptors may reduce the uptake of cholesterol by the cells, forcing it to remain in the circulation thereby raising blood levels. In familial hypercholesterolemia, which is a genetic disorder, the body is unable to remove LDL from the blood. This leads to high levels of LDL-C in the blood, which may severely increase the risk of cardiovascular disease, even at a young age. Cholesterol levels are measured in milligrams (mg) of cholesterol per deciliter (dL) of blood in the US and some other countries. Canada and most European countries measure cholesterol in millimoles (mmol) per liter (L) of blood. The Friedewald equation includes total cholesterol, HDL-C, and triglycerides. This equation relies on the assumption that the ratio of triglyceride to cholesterol is constant, which is not always the case. Thus, LDL-C calculations may have limitations when blood triglyceride levels are either high or low. Direct LDL -C measurements are also available, but are less often done due to higher costs. Some studies show that the number of LDL particles (LDL-P) may be a better predictor of risk than LDL-C. LDL particle size may also be important when assessing risk. It is considered important to keep cholesterol levels, especially LDL-C within certain limits. If we have other risk factors for heart disease, such as high blood pressure, diabetes, or if we smoke, keeping LDL-C low becomes even more important. Hence, when considering the “normal” range for LDL-C, the risk or presence of CVD has to be taken into account. Other lipid numbers such as HDL-choleterol and triglycerides, also play a role when evaluating the risk of heart disease. High levels of triglycerides and low levels of HDL-C are associated with increased risk of heart disease. Having a low ratio of TG/HDL-C is beneficial. How Can We Influence Our LDL-Cholesterol? If LDL-C is high, most doctors will probably suggest lifestyle changes. Quitting smoking will be helpful and so may eating whole grain, oatmeal, olive oil, beans, fruit, and vegetables. Most doctors will recommend eating less saturated fat, found primarily in meat and dairy products. Trans fats should be avoided. These fats are found in fried foods and many commercial products, such as cookies, crackers and snack cakes. However, keep in mind that food products labeled “trans fat-free” may still contain some trans fat. In the US, if a food may be labeled “trans fat-free” if it contains less than 0.5 grams of trans fat in a serving. Soluble fiber may help lower LDL-C. Soluble fiber is found in oats and oat bran, fruits, beans, lentils, and vegetables. Regular exercise is desirable. Losing weight may be helpful. Some studies show that low-carbohydrate diets may positively affect LDL particle size and number. Weight loss in overweight people is usually recommended. If lifestyle changes don’t help, your doctor may suggest medications that lower cholesterol. So-called statins are the most commonly used drugs for lowering cholesterol. Studies have shown that statins improve prognosis among patients with an established CVD. Their role for treatment of raised LDL-C in healthy people (primary prevention) is less clear. The decision to give statins in primary prevention is usually based on other risk factors as well as the LDL-C value itself.